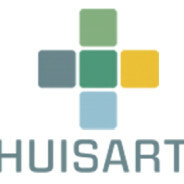 Together with the Dutch College of General Practitioners JAPPS has developed the Thuisarts App. This app for iOS devices enables users to acquire information about health and disease based on anatomical location and symptoms.This if fully based on digitized evidence-based guidelines for general practitioners. these guidelines are continuously updated according to the most recent medical and scientific literature.